If you have the bingo bug than the Bingo Bash Facebook App may be exactly what you need to get your fix of exciting bingo on the go. There are lots of choices for playing mobile bingo, but this one is super popular and super fun to play. You are going to love Bingo Bash. Facebook bingo is not for everyone especially those looking to put a little wager on their games with the hope of scoring big. This bingo game has been converting some traditional money bingo players because it is fun, interesting, a great way to kill some time and instant access from anywhere. 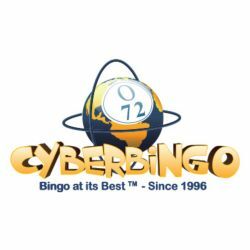 Just by looking at the numbers of millions of bingo fans you know this has to be a great app. The Bingo Bash bingo game is very easy to follow. If you are experienced or a newbie who has never played before you should have no difficulties figuring out how to play and what to do next. Once you get started, you will be rewarded with some bingo chips which you can use to purchase between one to four tickets for each game. Once you have bought your cards, you will automatically be entered into the next round. The caller will announce random numbers and columns. If you have any of these numbers called on your tickets, just click on the grid space and if you complete a sequence of five in a row you’re a winner! Winning bingo is super exciting, almost like winning the jackpot. But not everyone wins, so if you didn’t win, Bingo Bash still offers lots of awesome prizes, that are scattered across your grid spaces that represent things like gems or coins. If any of those lucky spaces have been announced then just click on them and reveal your reward. Collecting the gems will get you even bigger rewards because you can redeem them for bingo chips or coins. There are also other fun features about this game. For example, when you click on ‘Called Out Tiles’ you will be gaining experience as well as ‘Power ups’. When these are at fully charged you can use them to receive an instant bingo win right or other prizes like some extra coins. These are very useful because coins can be used to buy power ups or collectable items. As you progress up the levels you will be able to visit different cities that offer their own collectable rewards. Bingo Bash is very popular and has hundreds of players participating in each bingo game and even more in the chat room. If you are competitive than this app will allow you to see the leader boards so that you will know who is winning the most at bingo. The overall presentation and look of this game is very impressive. And it plays as well as it looks. This is a fantastic facebook app that will keep you playing and entertained for hours. 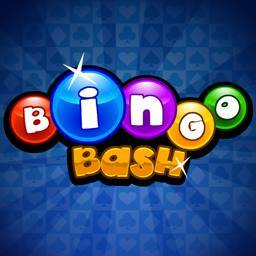 This Facebook bingo app was created by Bash Gaming. You can learn more at their website, Facebook page or if you are ready to give it a try head over the Bingo Bash Facebook App page. This review was last updated on March 28, 2016.